Online courses have the same course objectives and learning outcomes as courses that are offered on campus. However, online courses are often different in their delivery method. Instructors may adapt materials and course information for delivery on the web. They may also supplement course materials with online resources and activities. For this reason, formal assessment for online and on-ground courses will be different. Assessing a course involves an examination of the course design and organization, the course syllabus, the integration of online and face-to-face components, and other issues of instructional design. Similar to a face-to-face course, learning outcomes must also be measured. Here you’ll find templates, rubrics, presentations, and actual examples from model courses to help you plan your assessment process. NILOA suggests that a wealth of data is available through learning management systems similar to Blackboard where “online learning management systems… harvest data not just on what students learn but also on students’ every learning activity.” With the potential to obtain a tracked and stored electronic record of everything a student does as they navigate an online course, Blackboard’s tools enable faculty to gain an understanding about student learning behaviors to improve instruction. In this NILOA Occasional Paper, Matthew Prineas and Marie Cini argue persuasively, linking connections between online education and learning outcomes assessment, and illustrating that “the mediated settings provided by online education have the potential to significantly improve assessment and its capacity to improve teaching and learning”. While making sense of all these data will continue to be a challenge, data mining techniques and what Prineas and Cini term “data analytics” are already tools guiding improvement. Creating an online environment that encourages effective interaction and offers authentic learning activities can provide assessments that are naturally occurring phenomenon of online collaboration, as these two factors work together to help promote student engagement and alignment of objectives. One-to-one and one-to-many collaborations (discussion boards, blogs, wikis, journals, e-portfolios), as well as synchronous interactions (chat, video conferencing, white boards) facilitate measurable demonstrations of student understanding. An online course or content management system (CMS) like Blackboard allows faculty to engage students in Hybrid or Asynchronous online sections with multimedia content using formats like imported images, PowerPoint, podcast audio and video lectures and demonstrations. In addition, faculty can organize their students individually or in student groups to conduct asynchronous discussions via discussion boards, complete weekly blog or journal entries, and develop subject-specific wikis. Graded assignments allow faculty to administer quizzes and tests, and enable students to submit papers and assignments electronically so faculty can grade and provide other forms of feedback easily without fear of losing student papers. Item submissions are dated and organized by students as well as the number of attempts they’ve made. Within a given online or hybrid course, an individual faculty member has access to a wealth of quantitative and qualitative data relating to student participation and engagement: number of words posted, total number of posts, average length of posts, and the text of every student comment or question from the first week’s discussion and throughout the course. Additional kinds of data that can be gathered by faculty through CMS software and Blackboard include how frequently students log in to their courses; even the length of time they spend on given tasks such as group work and taking self-directed quizzes. (1998, 2009), Walvoord, B.E., Anderson, V.J., Effective Grading: A tool for learning and assessment. 1st Ed. September 10, 2012 Laura C Broughton Bronx Community College has an intensive 6-month online course development program using Blackboard as the learning management system. Materials provided to the faculty participants have been developed collaboratively by Dr. Howard Wach, Dr. Charles Alston, and Dr. Laura Broughton, with feedback from Dr. Giulia Guarnieri, Prof. Moronke Oshin-Martin, and Mr. Albert Robinson. The BCC Online Course Development Checklist provides guidance on the most important components of an online course. November 18, 2012 Maria PaganoQueens College has a useful site for faculty who are interested in better understanding the process and purpose of student teaching evaluations. While the site includes information that is specific to Queens College Faculty, the site also contains links to articles from the Chronicle of Higher Education on “How to Read a Student Evaluation”, which faculty might find useful. September 10, 2012 Laura C Broughton Bronx Community College has an intensive 6-month online course development program using Blackboard as the learning management system. Materials provided to the faculty participants have been developed collaboratively by Dr. Howard Wach, Dr. Charles Alston, and Dr. Laura Broughton, with feedback from Dr. Giulia Guarnieri, Prof. Moronke Oshin-Martin, and Mr. Albert Robinson. The BCC Hybrid Course Site Review Evaluation Rubric is used by faculty mentors when advising faculty participants on the development of their courses. July 6, 2012 Karen LundstremThe Rubric for Online Insruction from Cal State Chico provides a list of criteria to evaluate online instruction. The site also contains links to quality courses in Blackboard, instructional design tips, as well as the rubric in PDF format. 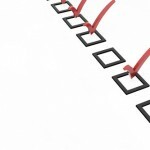 July 11, 2012 Karen LundstremMichigan State University’s Online Course Assessment Rubrics list contains links to assessment plans and rubrics from colleges offering major online programs. In addition to links to other college’s plans, rubrics from highly respected sources, including the latest plan from QUALITY MATTERS, are found here. July 11, 2012 Karen LundstremThe Online Journal of Distance Learning Administration is a peer-reviewed journal that primarily serves adminstrators and managers of online programs. Within this online journal, you can find a range of articles on assessment, covering everything from course to institutional. July 11, 2012 Karen LundstremThe Michigan Community College Association Virtual Learning Collaborative’s Program Assessment Plan provides a rubric that guides individuals implementing online programs. The plan covers what to expect during the early stages of evaluation and what to look for as a program matures. A successful program should meet most of the requirements articulated in the mature phase of the plan.